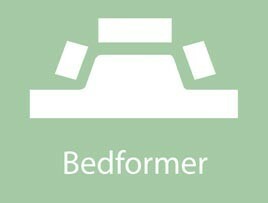 The Bedformer Mod. 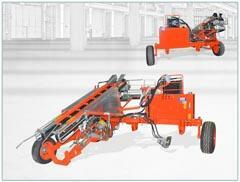 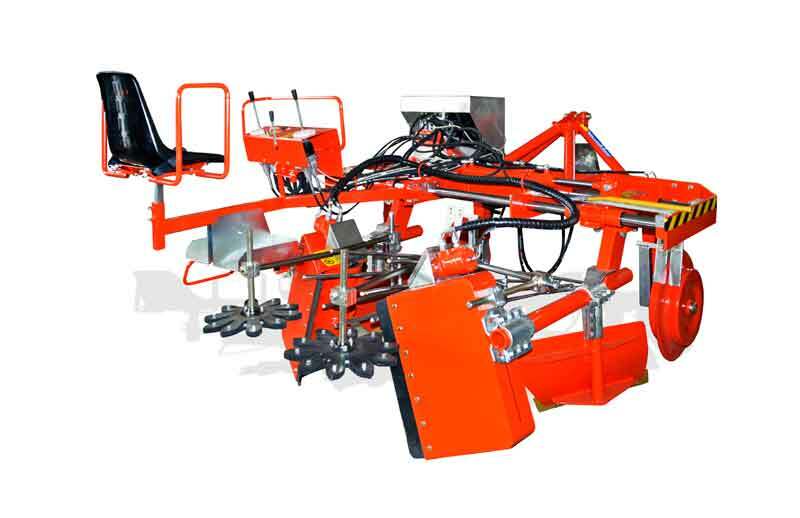 BXC is an indispensable machine for the creation of the trunk’s bed. 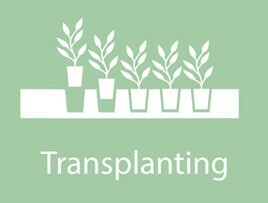 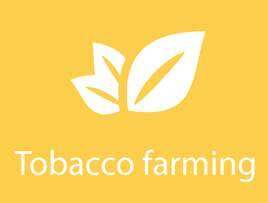 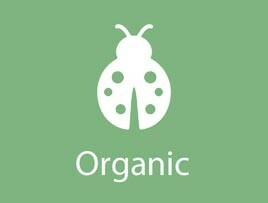 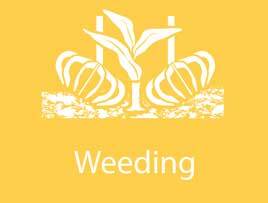 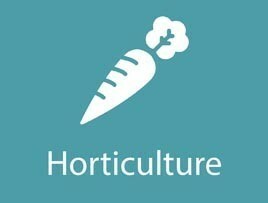 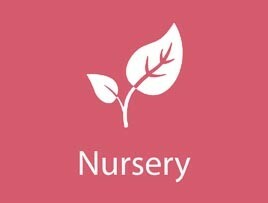 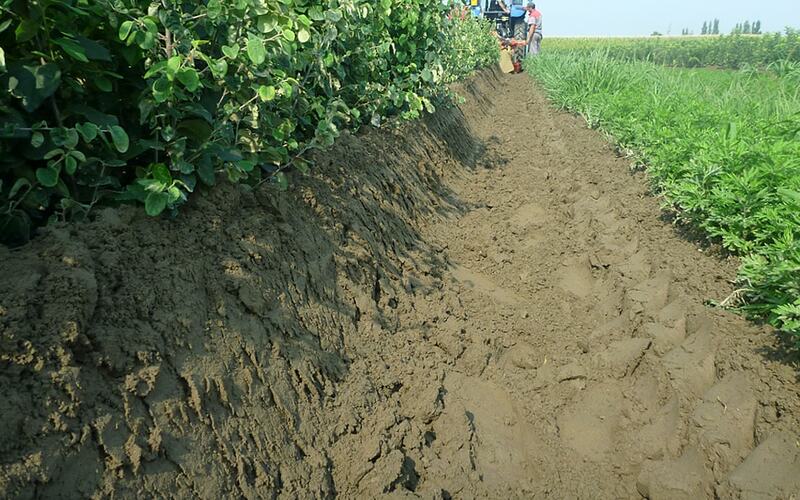 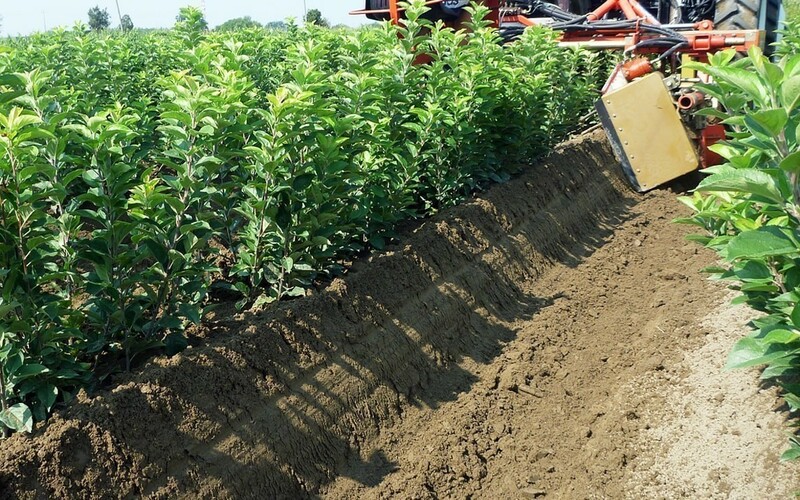 Allows the progressive accumulation of soil and is useful for cleaning the ridge. 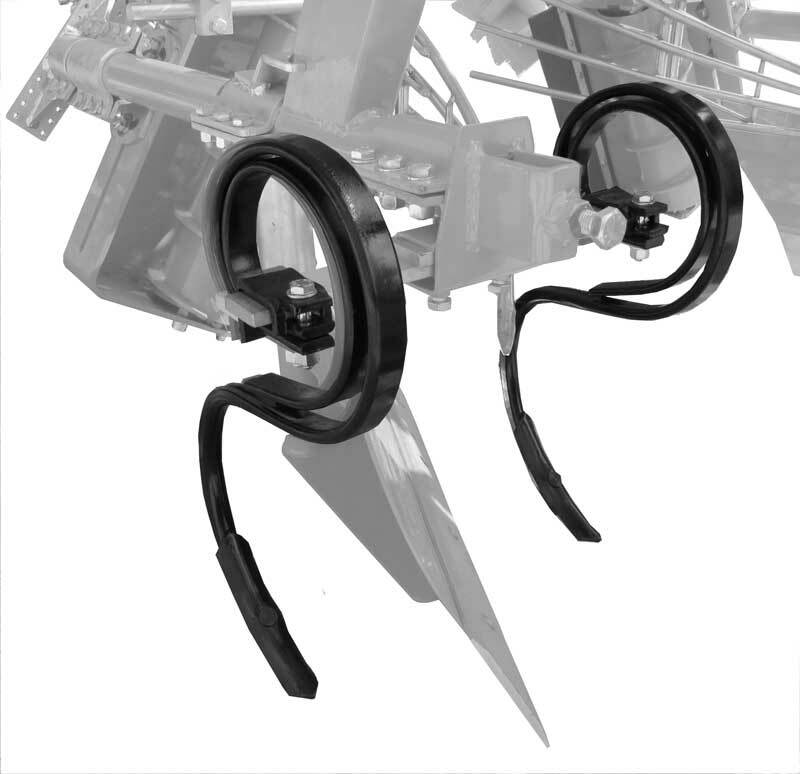 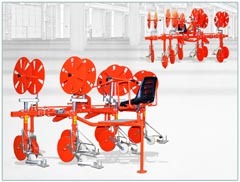 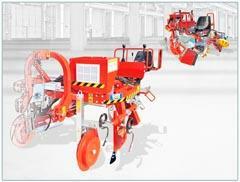 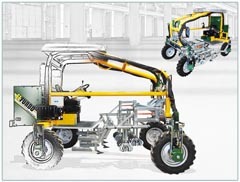 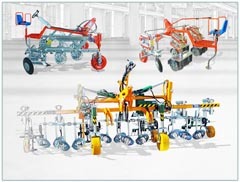 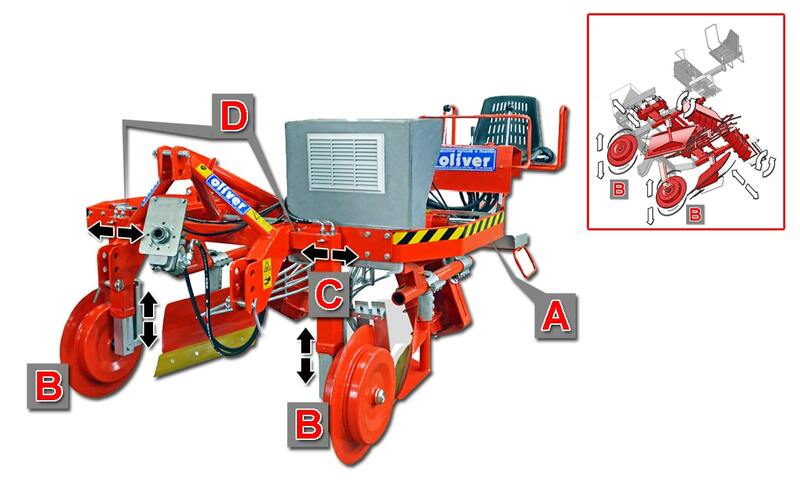 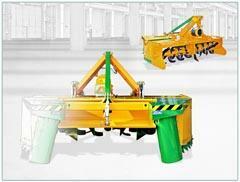 – Directional wheels (B) mounted on legs equipped with hydraulic cylinders (C), which regulate the working depth of the various accessories. 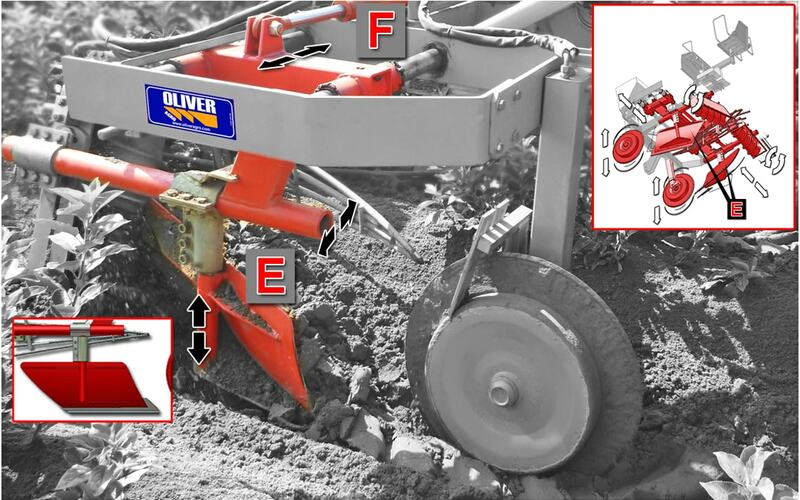 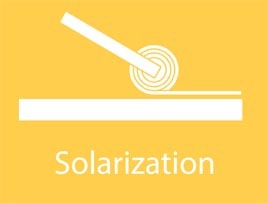 An additional manual adjustment (D) allows to set the distance between the wheels. 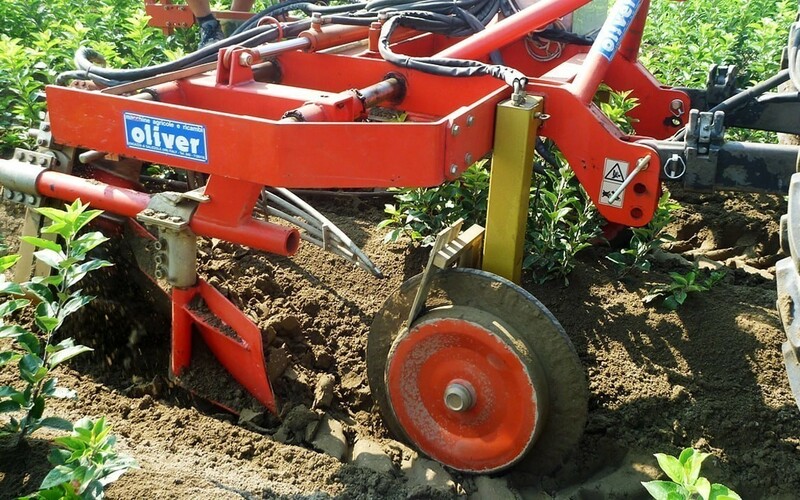 -Two hoes (E) push the ground to the center, preparing the raw ridge of the bed. 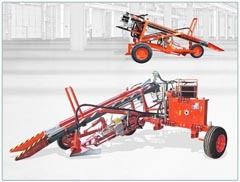 The distance between the two opposing coulters is hydraulically adjustable by means of two opposite central cylinders (F). 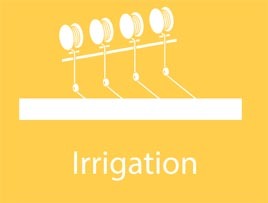 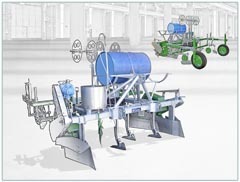 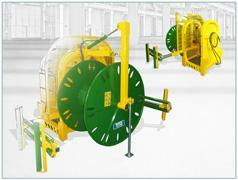 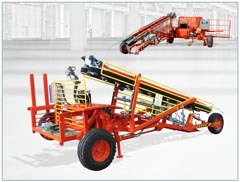 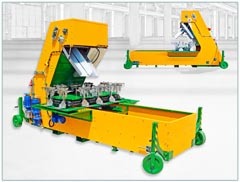 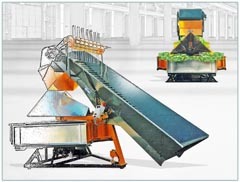 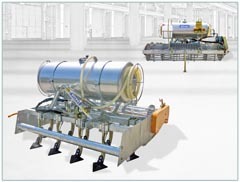 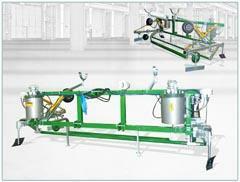 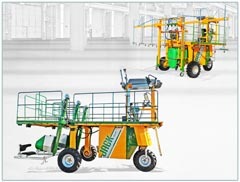 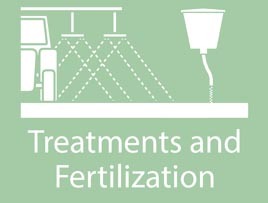 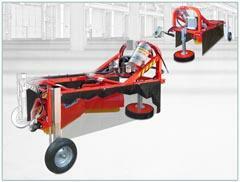 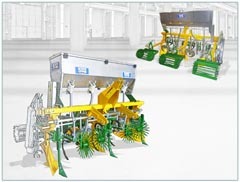 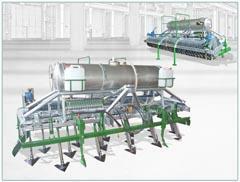 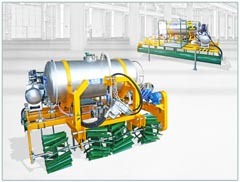 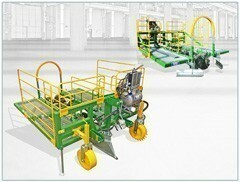 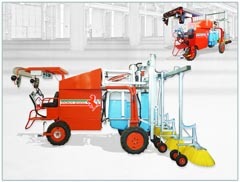 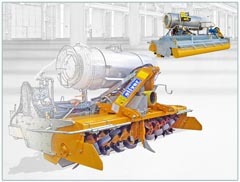 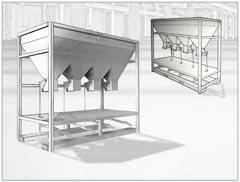 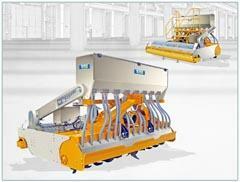 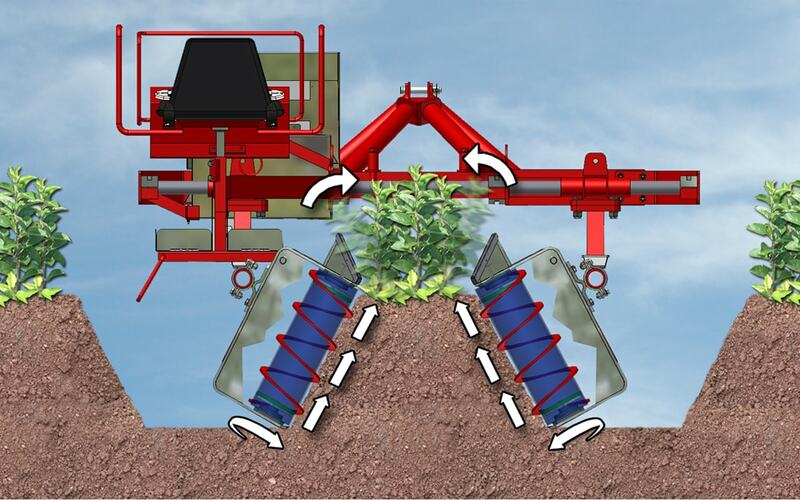 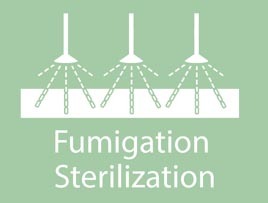 -Two rotating augers (G), driven by hydraulic motors, perform the three main phases of the machine. 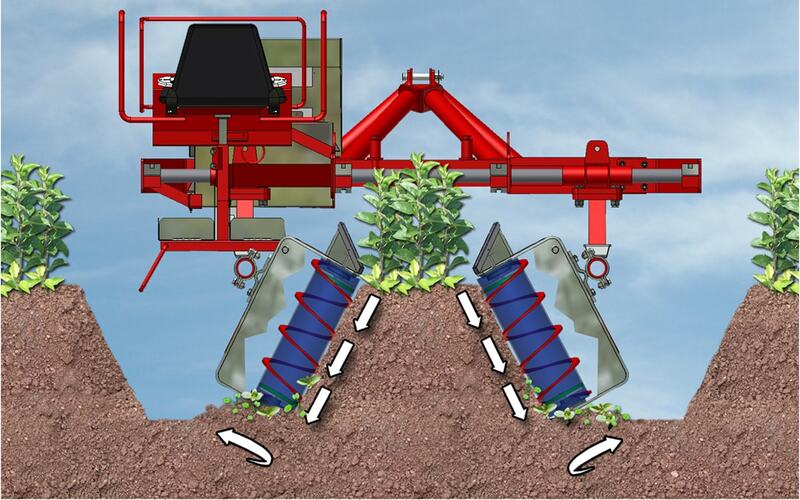 Phase 1: The augers create the bed needed. 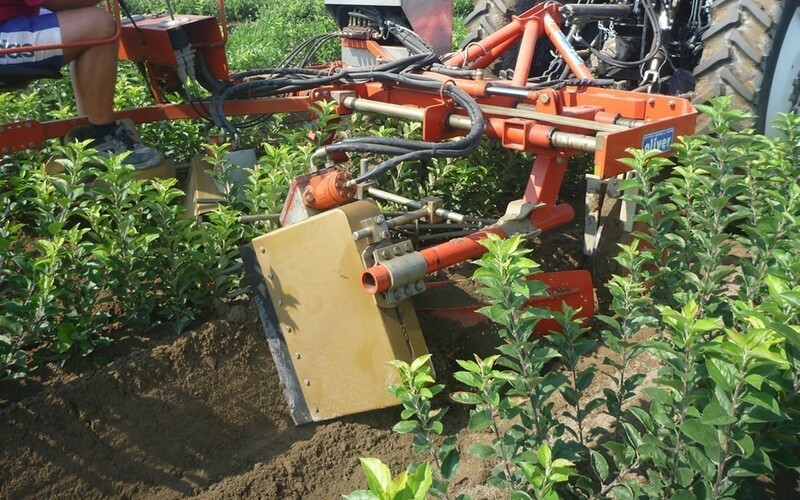 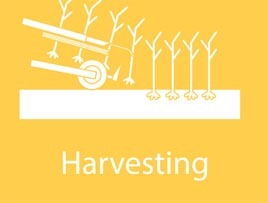 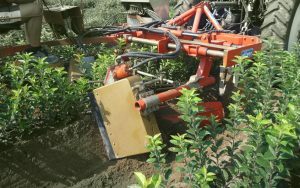 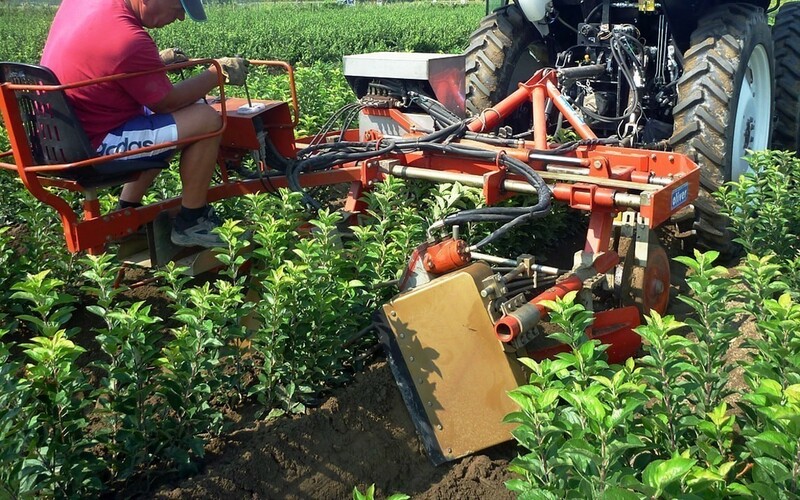 By rotating, they push the soil upwards, forcing the cuttings of the stump to remain straight, thus avoiding the possibility of having waste. 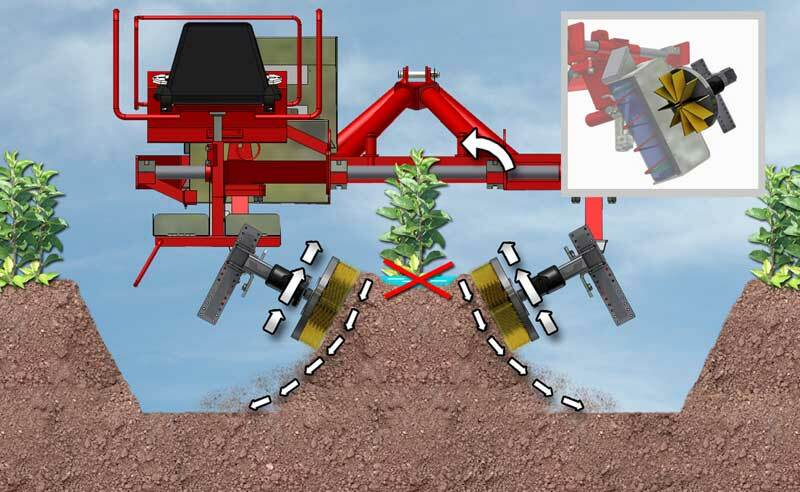 Phase 2: By inverting the direction of rotation of the augers, pushing downwards, we remove the weed grass tearing it from the ridge, to deposit it at the base of the groove which, during this procedure, is ruined. 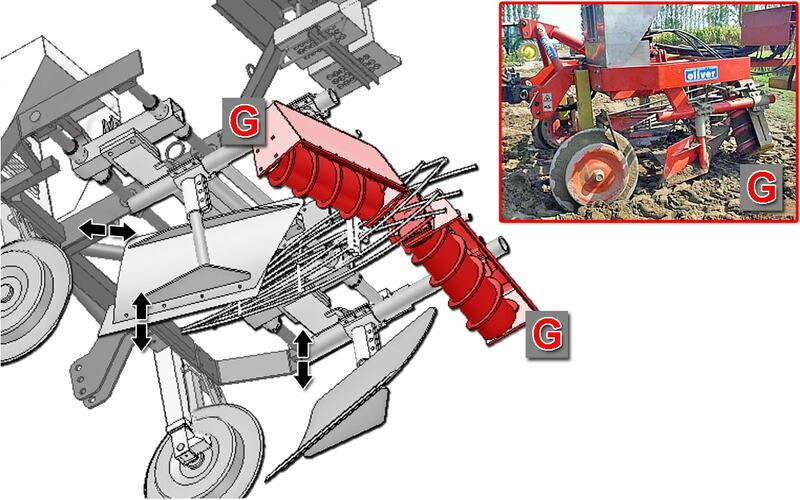 Phase 3: To restore the bed, we invert the motion of the augers again, so that the machine can again restore the bed. 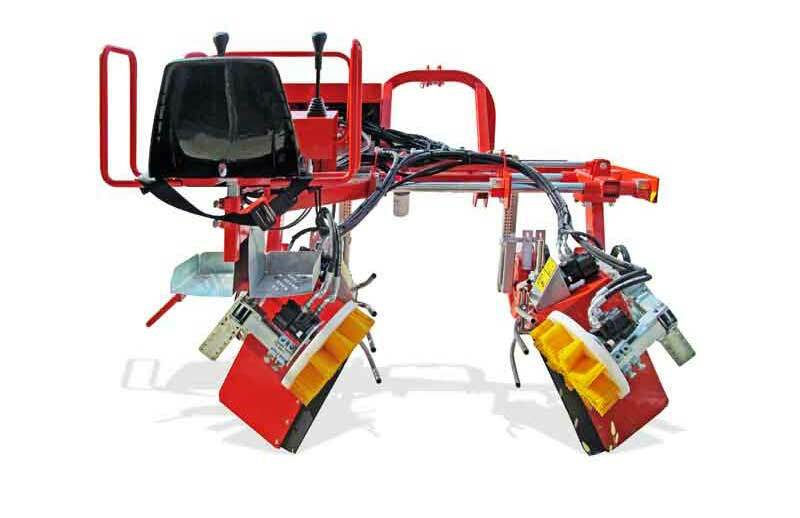 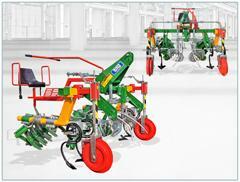 Flexible springs, mounted in support of the work of ridgers, on particularly compact and pasty soils. 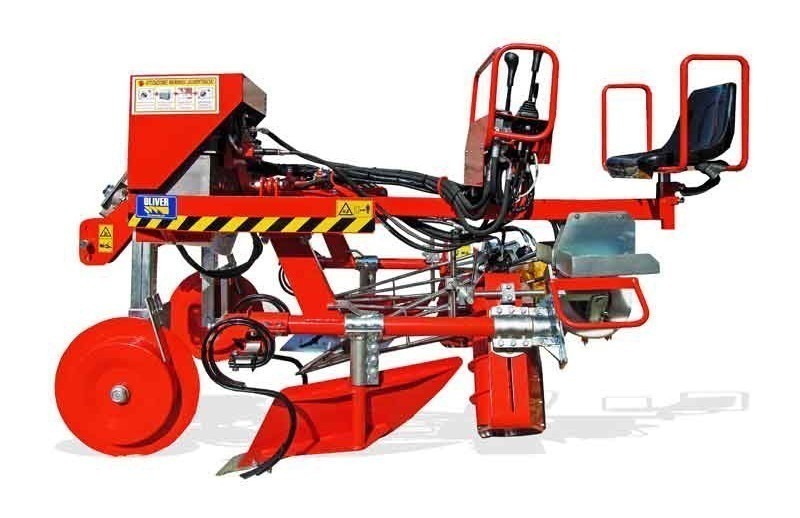 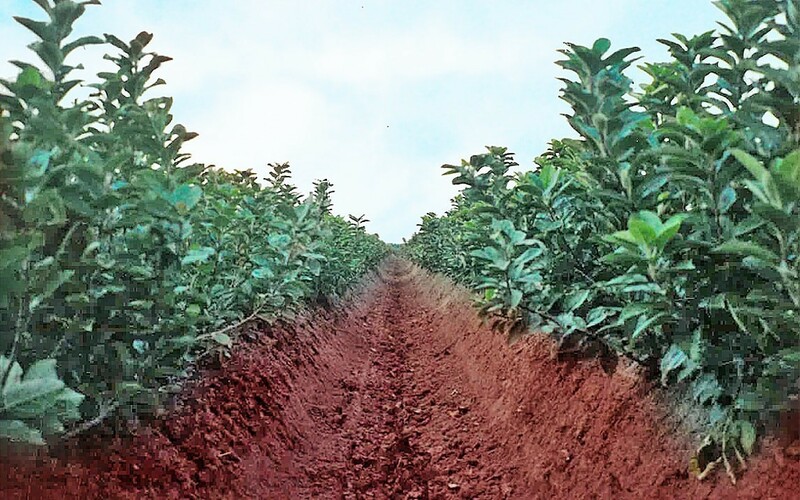 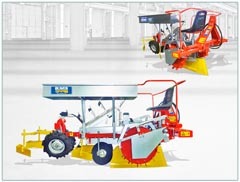 Indicated to refine the ridge cleanliness, in particular it smoothes out any depressions of the ground, avoiding the stagnation of water and the possible incorrect growth of the roots of the plants.